This documentation is for the OMERO 5 Platform. This version is designed to improve our handling of complex multidimensional datasets. It allows you to upload your files in their original format, preserving file names and any nested directory structure in the server repository. For more technical information, please refer to the Developer Documentation. You can read about the development of OMERO in the OMERO version history and the latest user-facing changes in What’s new for OMERO 5.4 for users. 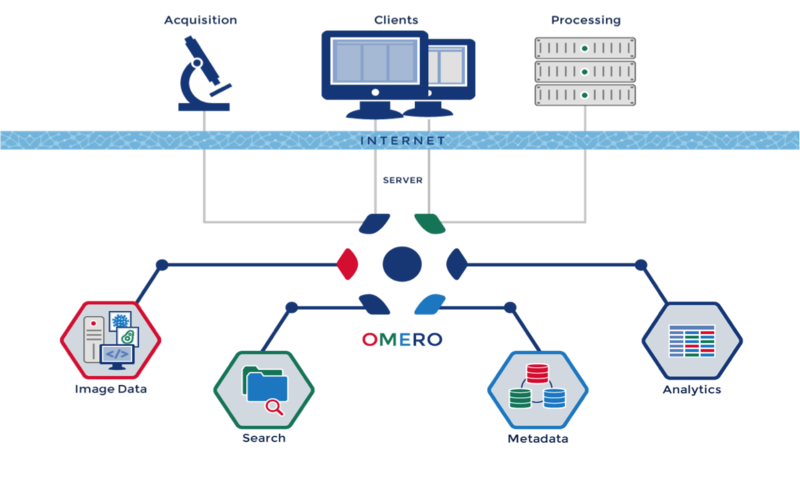 OMERO for scientists introduces OMERO for new users, while the feature pages provide an overview of the platform features by type, including community developed apps and integrations which could help OMERO meet your research needs more fully. You can try out OMERO without committing to installing your own server by applying for an account on our demo server. The OME YouTube channel features tutorials and presentations. Our popular OMERO.web app, OMERO.figure, has its own mini website at figure.openmicroscopy.org where you can find demo movies and a full release history.